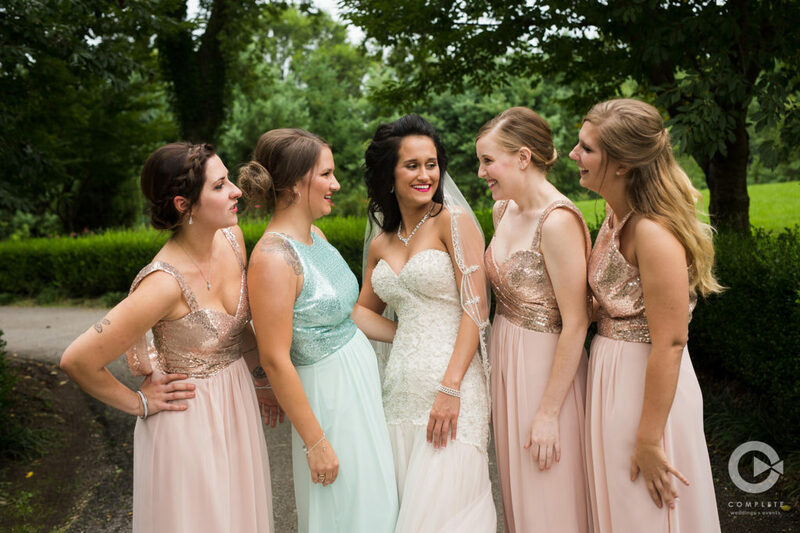 Amongst the common trend of neutrals, we have color! 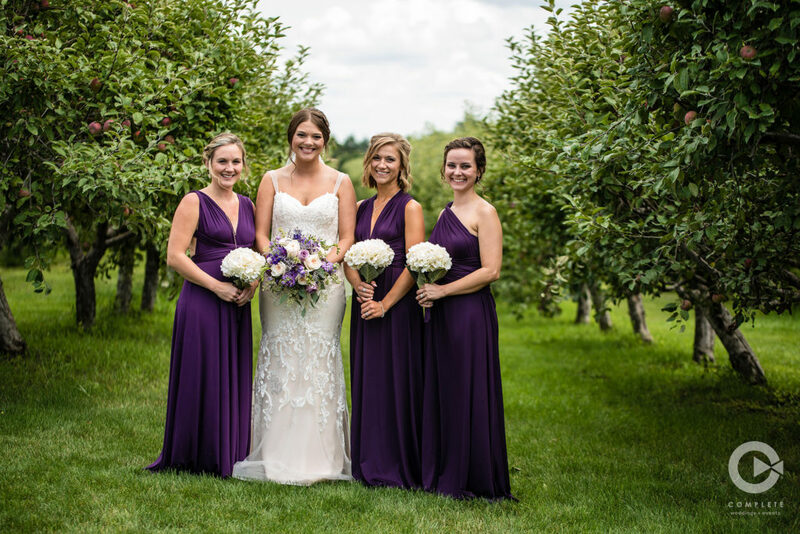 Both brides had their bridesmaids dress in similar looks, or the same dress even, but styled different. 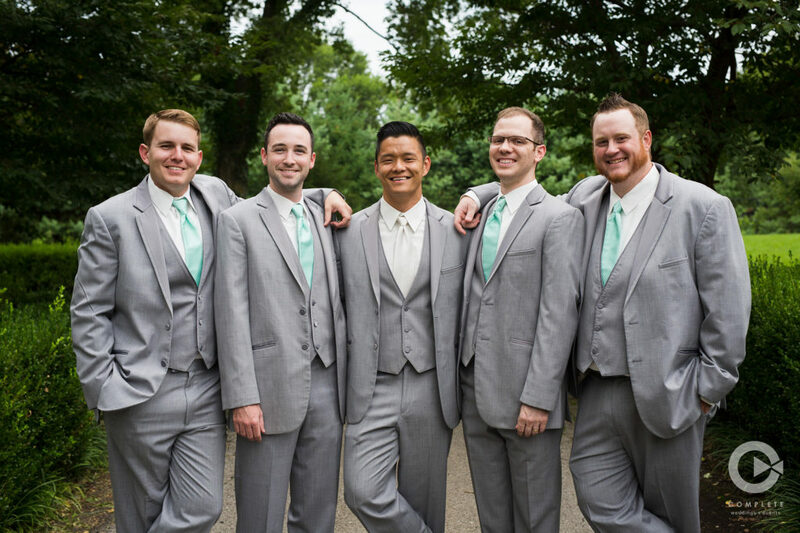 Hannah’s maid-of-honor dress stood out in sea blue, which matched the groomsmen’s ties. 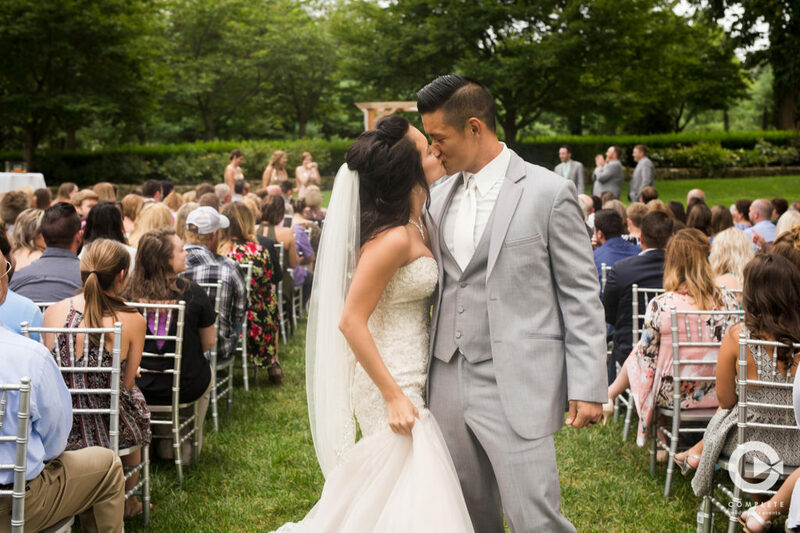 Her groom, Chris, also stood out as the only white tie wearer. 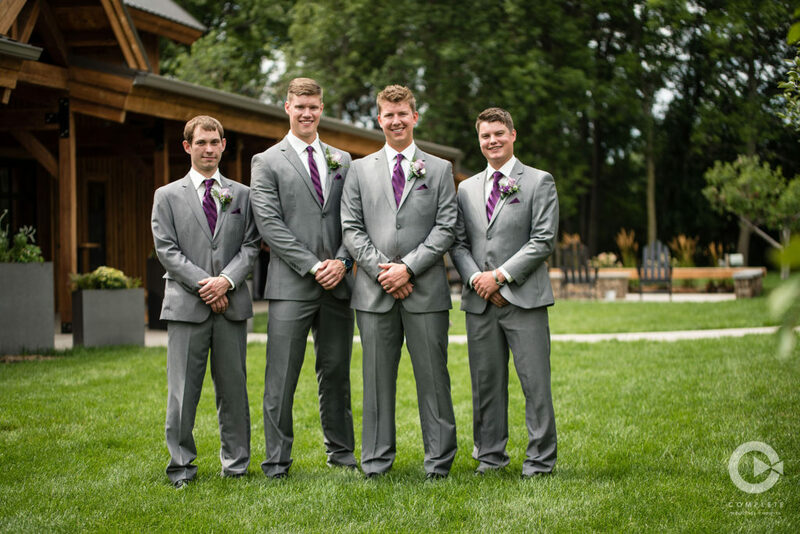 Pictured on the right, Bride Alex and Groom, Tyler, stayed consistent with their deep purple color for all the maid’s dresses and men’s ties. 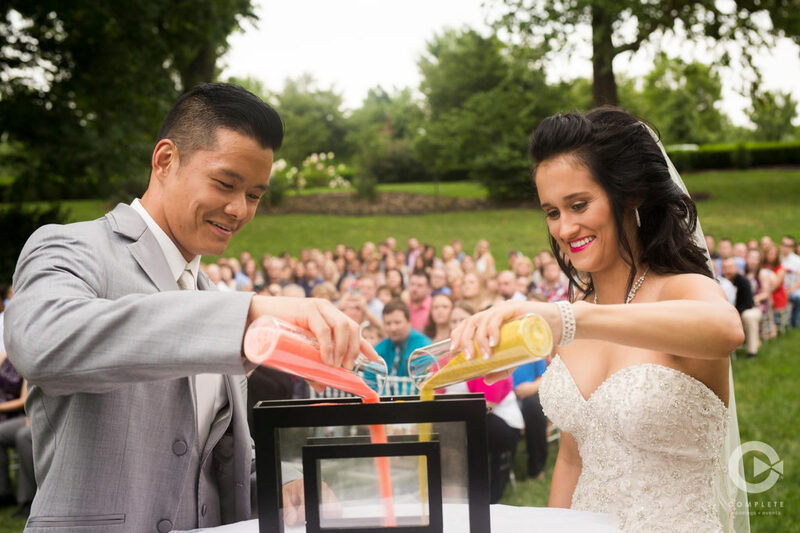 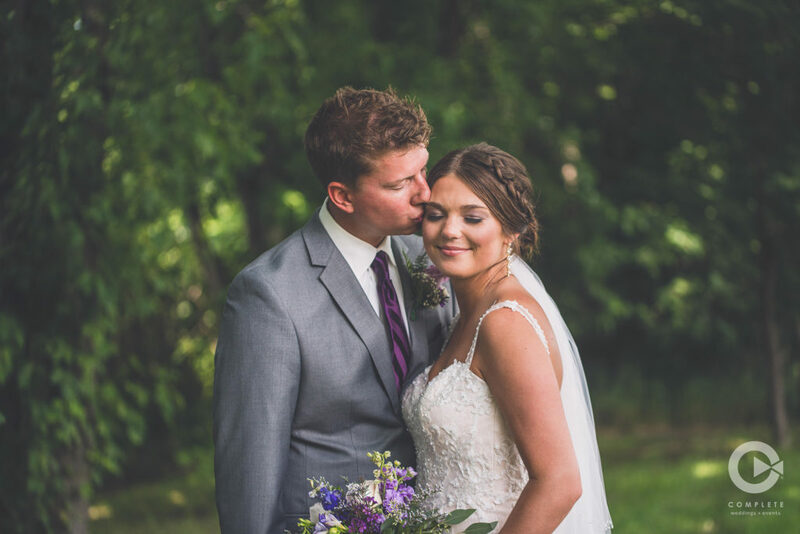 Hannah and Chris’s held both their ceremony and reception outdoors at the Haseltine Estates in Springfield, MO. 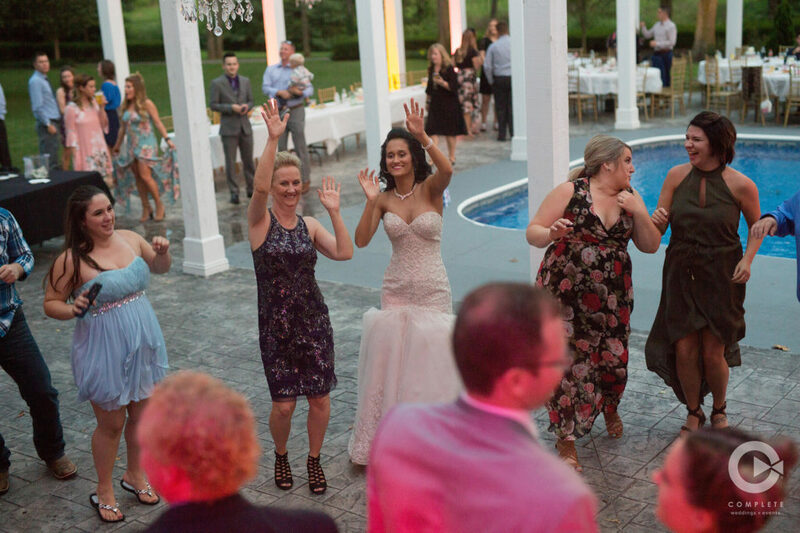 The reception was an elegant backyard party surrounding the mansion’s pool. 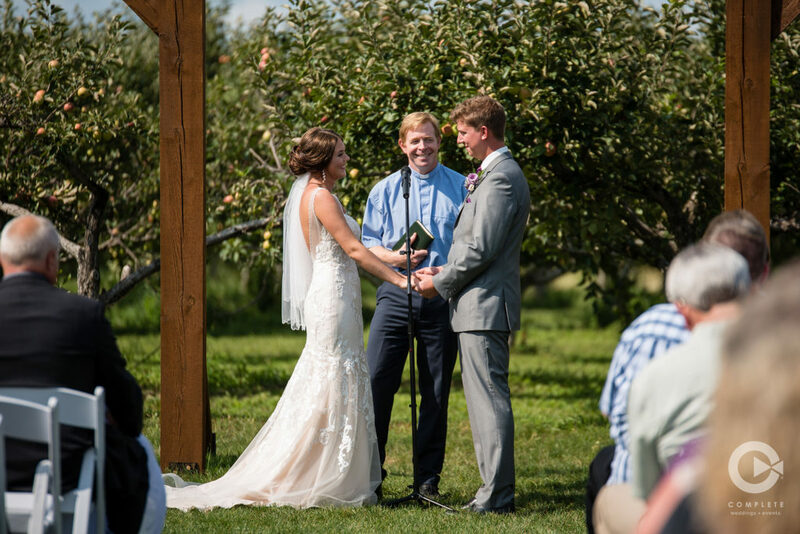 Alex and Tyler’s wedding ceremony was also outside surrounded by an apple tree orchard at the Meadow Barn just outside Sioux Falls, SD. 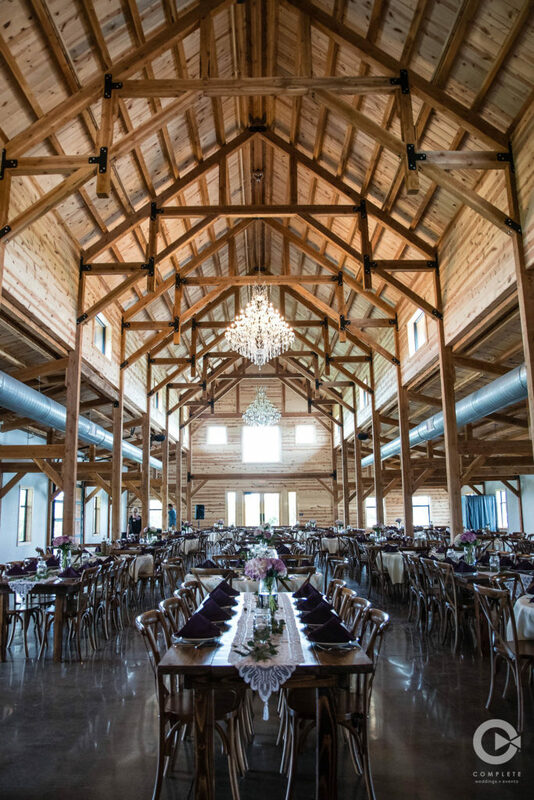 Enter inside the barn for their reception to see rustic tables and chairs among gorgeous chandeliers hung from traditional post and beam framed ceilings. 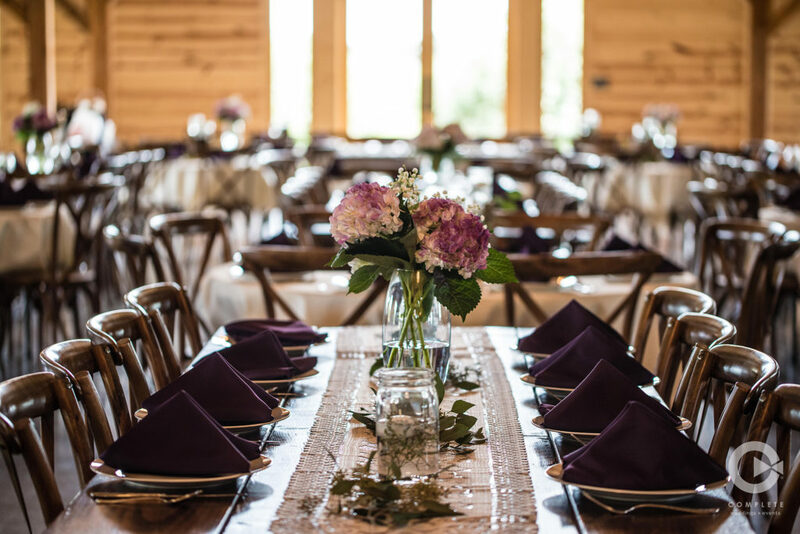 Pictured left is the elegant reception scenery at Hannah and Chris’s backyard oasis. 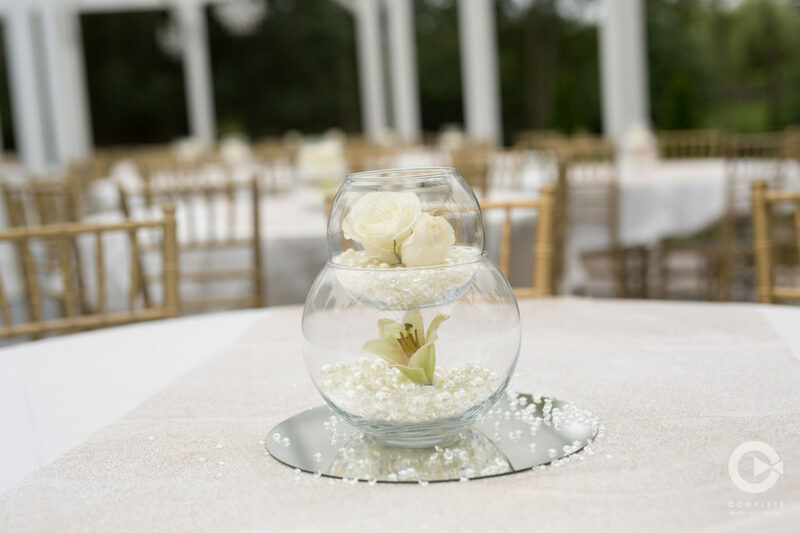 Translucent and white stacked centerpieces were placed on mirrors and white linens surrounded by formal chairs in gold. 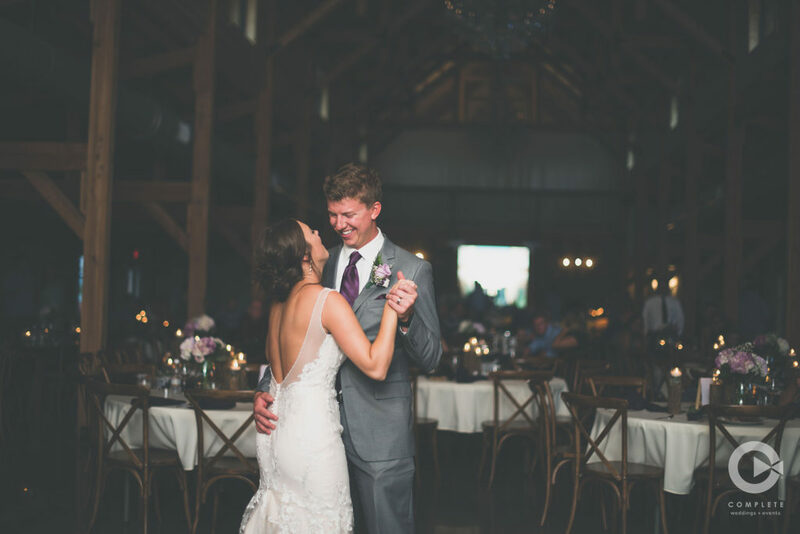 Alex and Tyler’s wedding reception is a contrast bringing things indoors to a romantic rustic-inspired atmosphere with wood tables, chairs and framing. 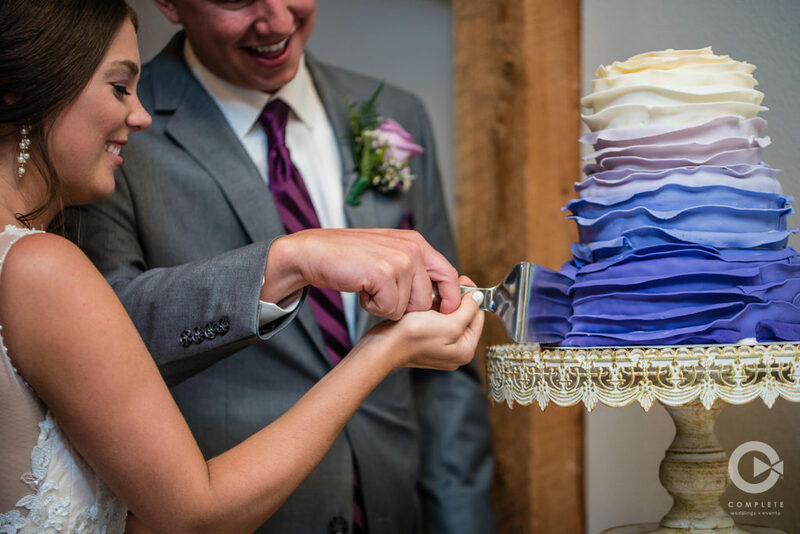 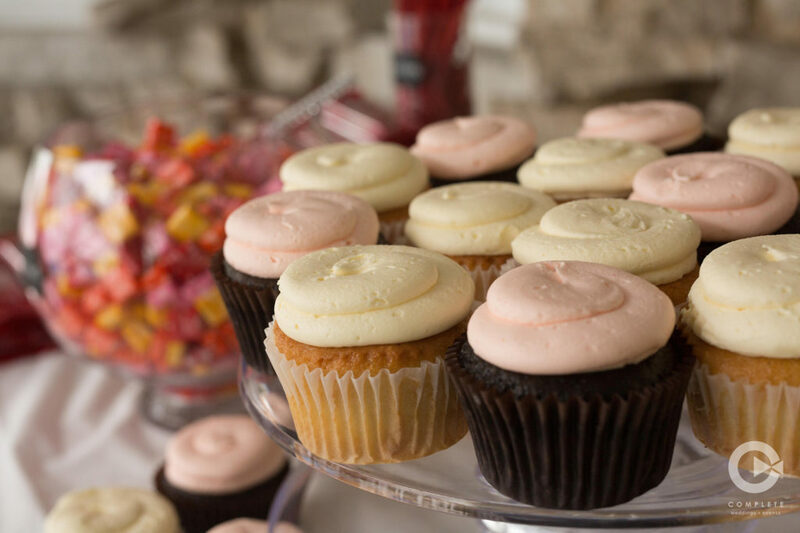 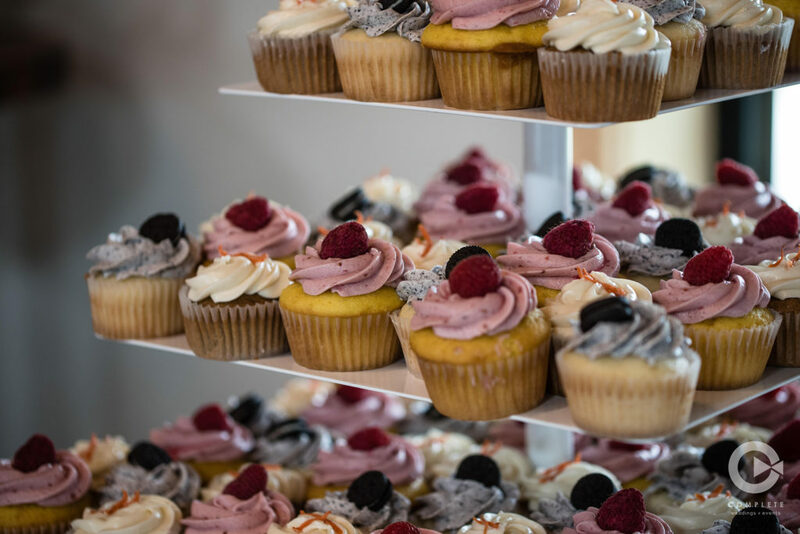 Along with cake, both couples offered almost interchangeable cupcakes as a wedding dessert, but Alex and Tyler opted for a an ombre purple wedding cake, while Hannah and Chris kept it classic with white. 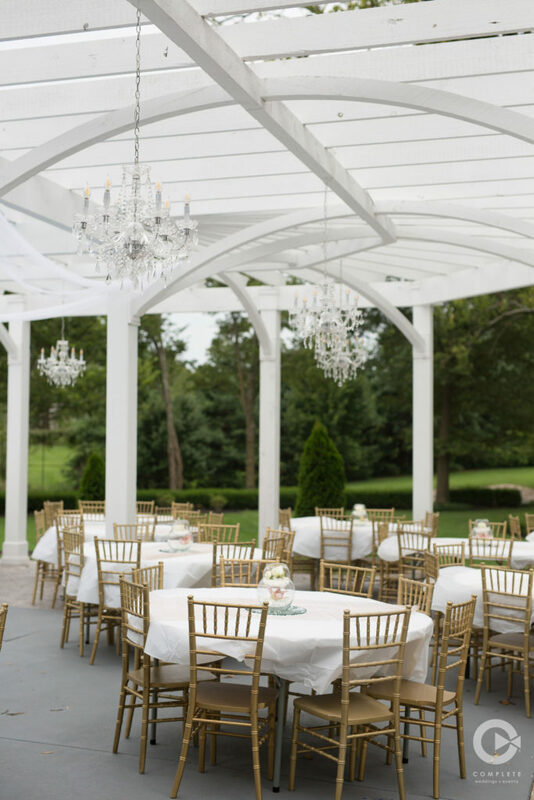 We are obsessed with both of their outdoor ceremony spots, reception seating styles, and overall unique reception venues with chandeliers acting as the cherry on top. 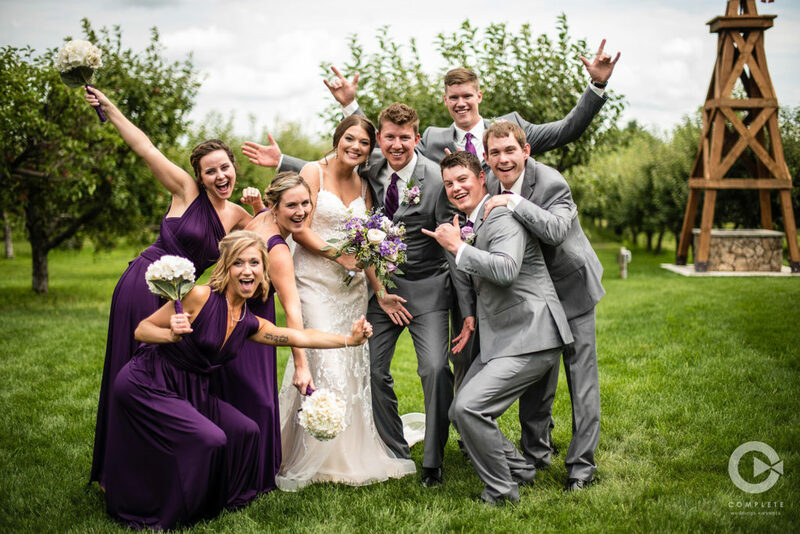 We wish these two couples sweet, sweet happiness and a happy one year anniversary! 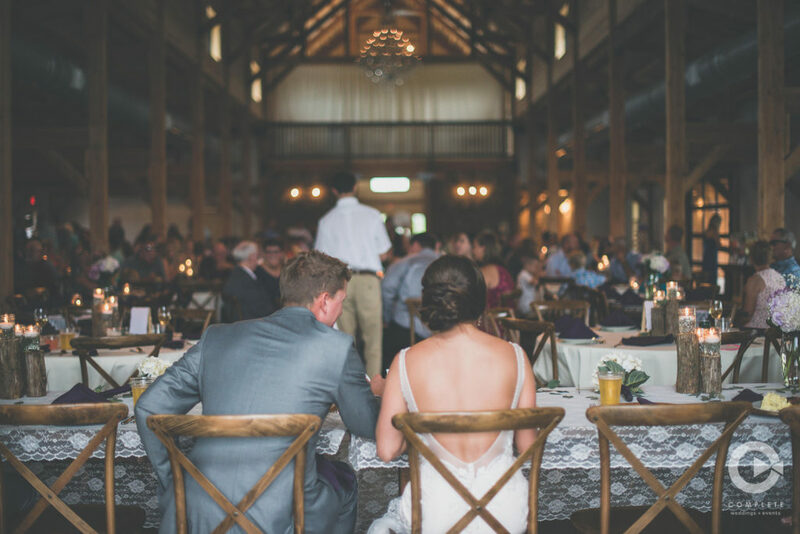 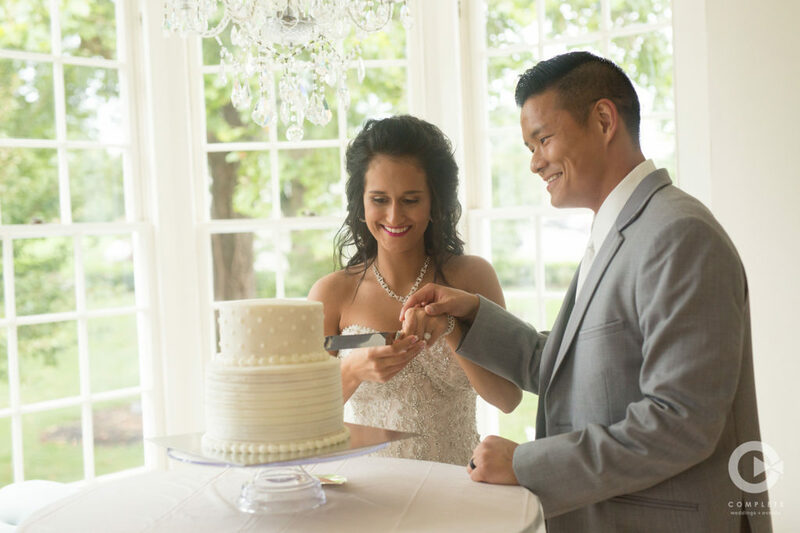 Complete Weddings + Events, Greenville and Columbia’s leading provider of event and wedding photography, videography, lighting, DJ services & photo booth rental.